The Compunetix Federal Systems Division (FSD) will be exhibiting at AUVSI’s Unmanned Systems North America 2012, taking place in Las Vegas on August 6-9th. The FSD team will showcase and demonstrate the latest generation CONTEX® Mission Voice Platform (MVP). 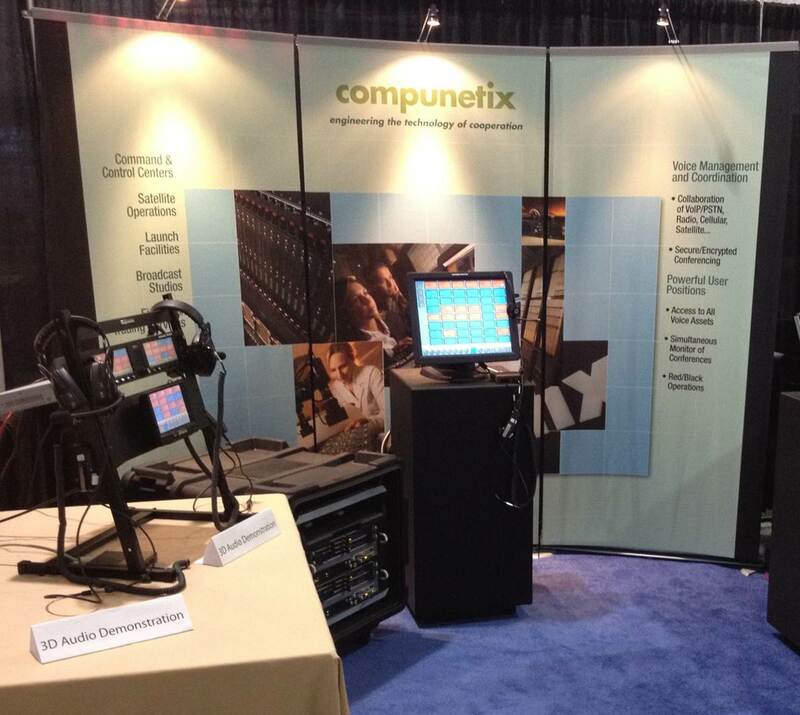 Compunetix is a leader in mission critical voice communications systems. The MVP, a small footprint, high port density mission voice communications system, supports VoIP, TDM, and a combination of the two. The system, which is available in 2 slot, 6 slot, and 14 slot ATCA cabinets, includes a 3D audio feature that geospatially separates voice channels. To ensure a high level of security, the MVP contains red/black system architecture and 16 security levels. The CONTEX MVP supports an abundant array of communications applications and user configurations, as Compunetix strives to provide products and solutions that can be tailored to each individual customer. Compunetix products are a part of today’s UAV Command and Control Centers. The 2 slot MVP, which will be demonstrated at the show, supports more than 100 mission instruments, more than 350 voice circuits, or a combination of both with one media blade. Join us and over 500 other exhibitors and 8,000 attendees at the Mandalay Bay Convention Center for 4 exciting technology-packed days! Register for the show here. Visit us at booth #3006 for more information and a demo of the CONTEX® MVP. See you at AUVSI 2012!